Our Victoria's OAK BAY Real Estate market is going full steam ahead as we head into the Fall of 2015. Here is a real estate market snapshot for Oak Bay this Sept 11/15. Great information...thanks for sharing it and I hope you have a wonderful weekend! 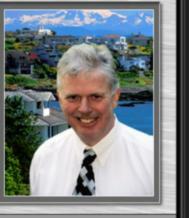 Fred this great information about the Oak Bay BC neighborhood. Very nice place to call home. Home buyers and sellers would be smart to call a local expert - YOU! Fred, great snapshot of the Oak Bay market today, and looks like you will enjoy a nice fall season! Thanks for sharing the September 11, 2015 real estate market update for Oak Bay British Columbia. Hi Lou Ludwig Oak Bay is a very stable and in demand real estate market neighbourhood. Well priced homes always sell in Oak Bay. Hi Joan Cox I have a South Oak listing coming up and I already have two cash buyers waiting through my networking.